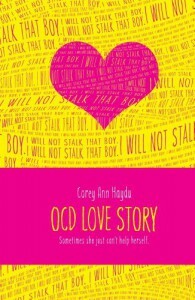 OCD Love Story takes an in depth look at obsessive compulsive disorder, it doesn't just skim the disease, it shows what I would imagine it is like to have verified OCD. And it is not all fun and games. 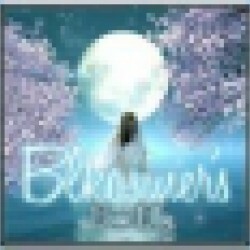 From the eyes of Bea, we get a girl whose disease is worsening before her eyes, and at first she doesn't really think that anything is wrong, but when she starts going to support group and meets Beck who is in the middle of his first full blown panic attack, which she is familiar with, she begins to see things through a new view. Including herself. We get a healthy dose of humor in this one, and Bea is very self deprecating, making light of things, but that is how she deals, and it also provides a bit of relief for the reader. We see many ways how OCD can work itself out and manifest, and dealing with anxiety myself, I feel for these kids. I see little bits of myself in them and I am so glad that I haven't crossed into that territory (yet and hopefully never). Bea grows as a character in this one, through her friendships, through her trying to be supportive family, her therapist Dr. Pat, and the support group. But it also shows that the battle with OCD isn't something you can take a vacation from. It is part of who you are and while meds and therapy can help, there is no real cure. So, it doesn't give a false view of the mental disorder in that sense, but it does show a sense of hope for the future, and for management. Though of course, Bea has to get to all time lows in order to accept that help, but you expect nothing less from a contemporary novel. Bottom Line: Gritty contemporary that faces mental illness head on with a side of humor.